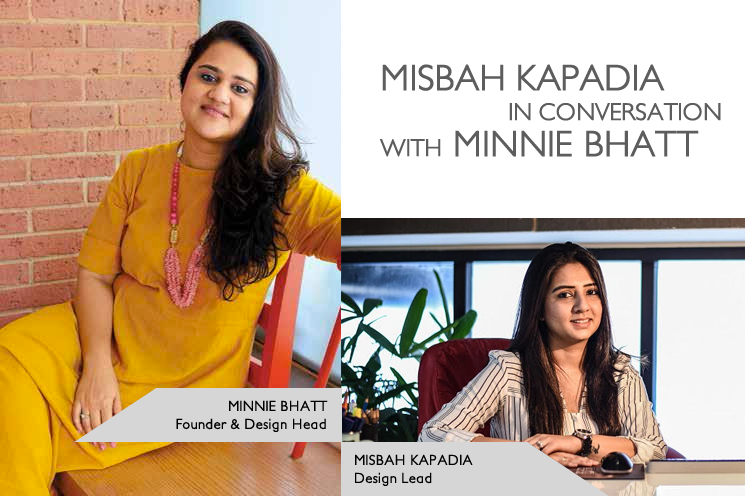 Misbah: So Minnie tell us something about your design journey. Misbah: I love how you effortlessly meld the classic with the contemporary to create spaces that are warm, inviting and timeless. What influenced your design sensibilities? Minnie: I grew up in a heritage home in South Mumbai, surrounded by art deco style architecture. My earliest memories include the grand Taj Hotel with it’s sweeping staircase and and the understated elegance of the Sea Lounge. My sensibilities have been honed on designs that endure. I steer away from fads and love incorporating natural elements like light, stone and brick to create beautiful and environmentally sustainable sites. Minnie: What about you Misbah? You are an asset to the firm. The way you meticulously plan and execute each project, your attention to detail and the impeccable finish that you give every site is commendable. Misbah: I have really enjoyed my work so far and learned a lot from you. From residential to commercial sites, we have done it all. In the last few years we have designed some of the city’s most talked about restaurants.